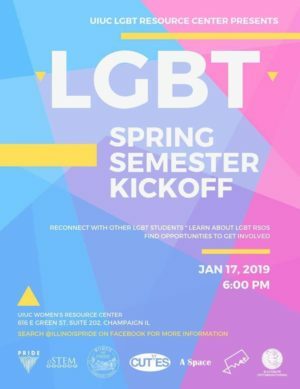 URBANA — The University of Illinois LGBT Resource Center will be hosting a kickoff for the semester at their offices on Jan. 17. We know you’re wondering – so here it is – our Spring semester welcome celebration! 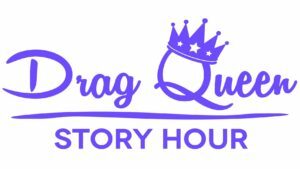 This upcoming Thursday the 17th, please join us in the University of Illinois Women’s Resources Center starting at 6 PM for a full night of fun, fellowship, and (you guessed it) FOOD. 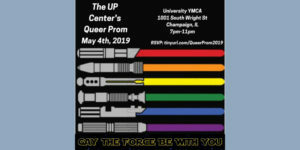 Come celebrate your success of getting through the Fall semester, and start the Spring semester off with your UIUC LGBTQ family, because we’re looking forward to seeing you. 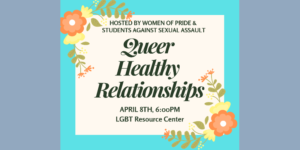 Please contact the University of Illinois LGBT Resource Center staff with any questions. The resource center is in Room 323 at the Illini Union, 1401 W. Green Street in Urbana.